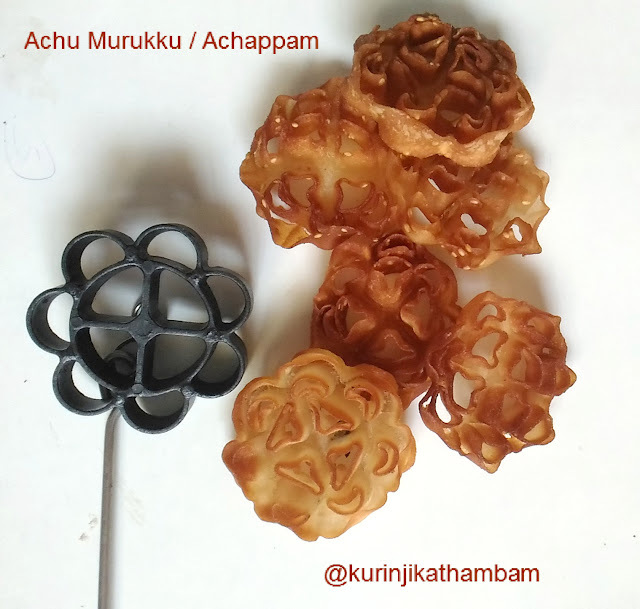 Achu Murukku / Achappam is a traditional South Indian recipe which seems to be famous throughout the world and called in different names. The typical Achu murukku uses maida, eggs and coconut milk. In this recipe, I don’t use any of these yet the output was very yummy. 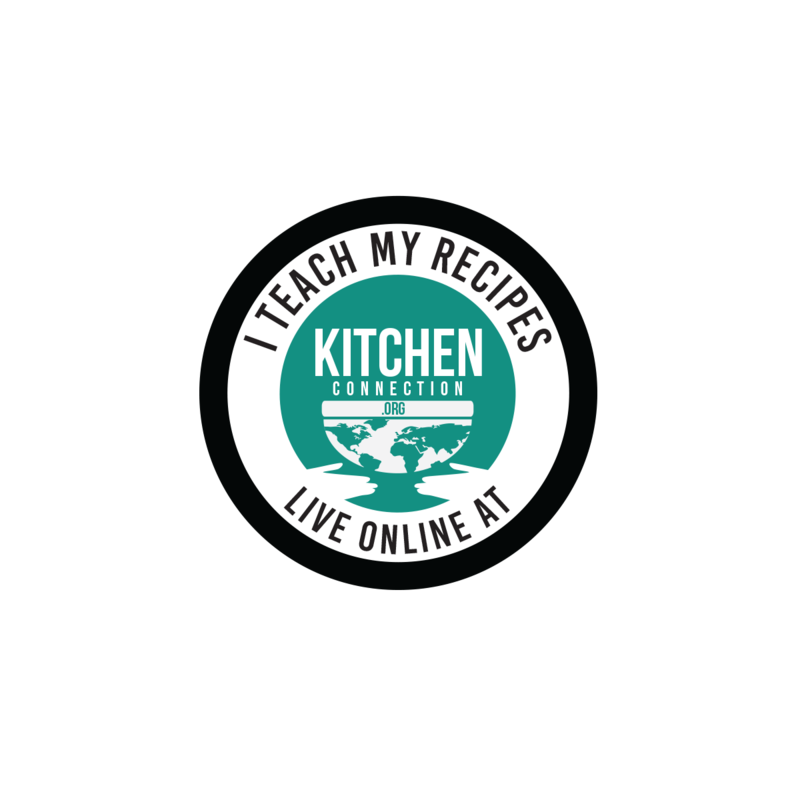 Preparation Time: 10 mins | Cooking Time: 20 mins | Yields: 15 nos. 1. Powder the sugar using the dry mixie jar and keep it aside. 2. In a bowl, add rice flour and wheat flour. Mix them well with whisk. 3. Add Powdered sugar, cardamom, salt and sesame seeds with flour mixture. Mix them well. 5. The batter consistency should be little bit thinner than the bajji batter consistency (refer the VIDEO). 6. Heat the oil in a pan, put pinch of the batter into oil, it should come up immediately if the oil temperature is correct. 7. Now, place the achu murukku mould into the hot oil for few seconds. 8. Then take it out from the oil, and immediately immerse the hot mould into the batter till the ¾ of the mould. (you should not immerse the mould fully, otherwise you cannot remove the achu murukku from the mould). 9. Now, keep the mould in the hot oil, after few seconds slightly shake the mould or using the spoon, remove the achappam from the mould. 10. 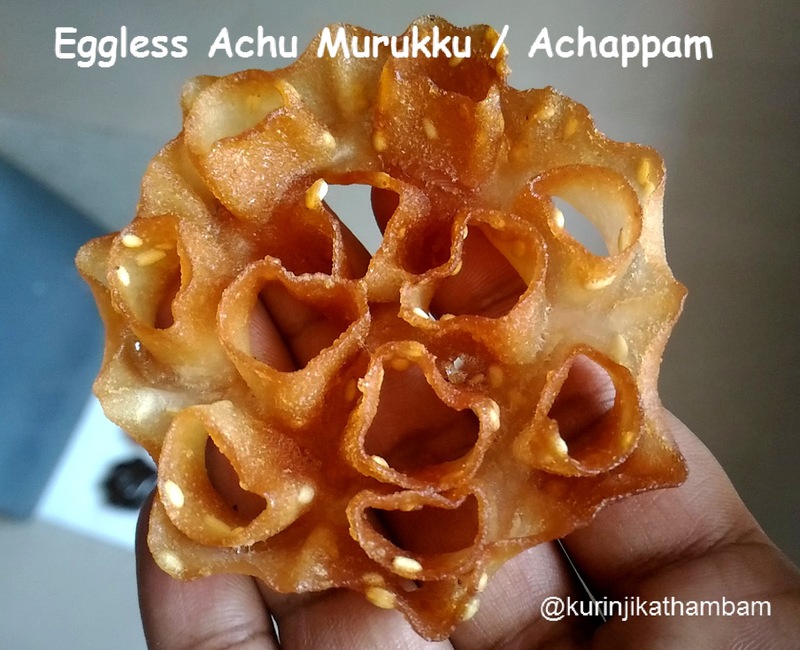 Cook the achappam on both sides till both sides become golden in color. 11. Remove from the oil and keep it on a tissue paper to absorb the excess oil. 12. Apply the same procedure for the entire batter. 1. If you are using a new mould you have to first tune it (palakkap padutha vendum). For this you should immerse the mould in left over idli batter for few days. But nowadays you can buy non stick mould which is readily available in the market today. Thank you! Such an ingenious variation.